Lemax Bringing Home The Christmas Tree Table Accent depicts father and son riding a horse & carriage home loaded with a freshly cut Christmas tree from the woods, whilst dog enjoys the ride! Suitably placed in and amongst a seasonal Lemax village miniatures scene. A Lemax Christmas themed collectable piece which joined the Lemax collection in 2014. 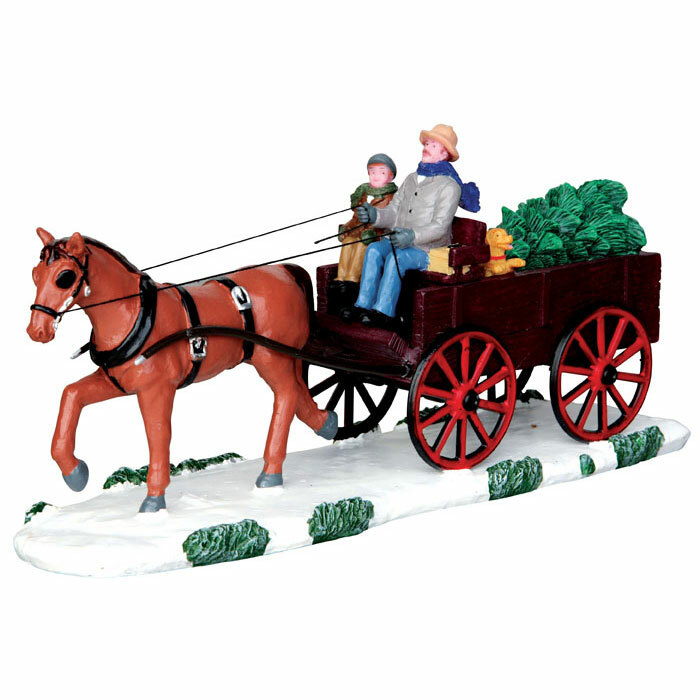 Bringing Home The Christmas Tree offers a delightful individual hand painted polyresin piece which includes multi figurines on a snowed base to compliment your seasonal Lemax Christmas Village.